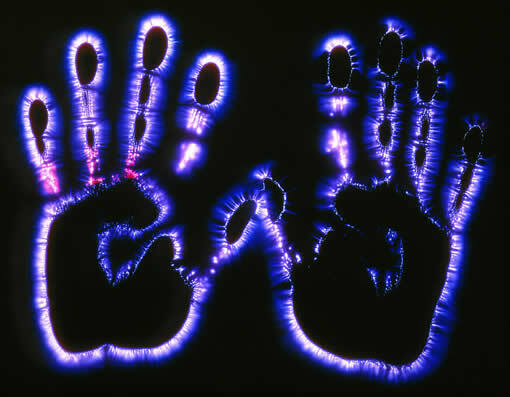 Kirlian photography creates a photographic image by placing the object or body part to be photographed on film or photographic paper and exposing it to an electromagnetic field. 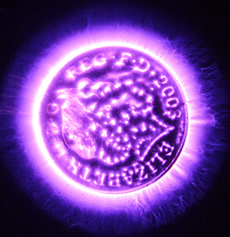 Although experiments with photographing objects exposed to an electrical field are known to have been carried out as early as the 1890s, Kirlian photography is generally said to have originated with the work of a pair of Soviet scientists, Semyon and Valentina Kirlian, beginning around 1939. Over the next several decades at Kazakh State University, the Kirlians developed electrophotographic techniques that used neither a lens nor a camera. By the 1960s, their work had attracted public attention in the Soviet Union. Interest in Kirlian photography spread to the West during the 1970s, where attempts were made to replicate effects achieved in the photographs of Alexei Krivorotov, a well-known psychic healer in the U.S.S.R. In the United States, studies were carried out with psychic healers at the Jersey Society for Parapsychology and the UCLA Neuropsychiatric Institute. 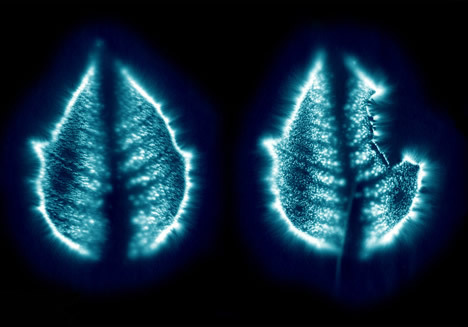 The most common therapeutic use of Kirlian photography is as a diagnostic tool. Variations in the shapes, colors, and intensity of the images produced are said to provide clues to the patient’s overall health and energy level and to indicate the presence or absence of disease, specific emotional states, and other physiological or psychological conditions. Practitioners most often photograph the patient’s hand (or, less frequently, the foot), which rests on a photographic medium placed over an electrically charged metal plate. During the approximately one-minute exposure, the patient may feel tingling in the exposed surface. After developing the image, the practitioner interprets its significance and if necessary, refers the patient to a healthcare provider for treatment. Kirlian photography is also sometimes used to assess the effectiveness of treatments (such as acupuncture) by comparing before and after photographs of the patient. Although some have speculated that Kirlian photography actually records the aura long said by some mystics and psychic healers to exist around human beings, this is not a generally accepted viewpoint. A scientific explanation of these dramatic images is that they result from interactions between charged particles created by the electromagnetic field used to form the images. A 1976 Science article concluded that moisture is a principal determinant of the form and color of human Kirlian photographs. It has also been noted that variations in a variety of factors, including the amount of pressure on the plate, the voltage and frequency, and the exposure time, moisture, and temperature, can all influence the images produced. For these reasons, as well as claims of unreliability and a lack of research data supporting its use, Kirlian photography is not recognized as a legitimate diagnostic tool by the mainstream medical community. Nevertheless, individual practitioners and researchers continue to experiment with Kirlian photography for diagnosis, especially in Russia and Eastern Europe. It has also been used for such nonmedical purposes as detecting flaws in metal and determining the viability of seeds.